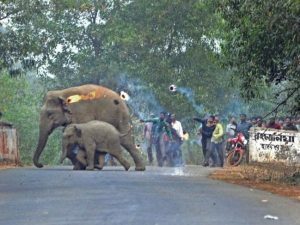 A mob of Indian villagers brutally attacked a mom and baby elephant when the pair accidentally wandered onto their farmland last week. 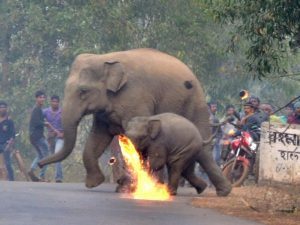 The men launched flaming missiles at the elephants to keep them from trampling their crops. 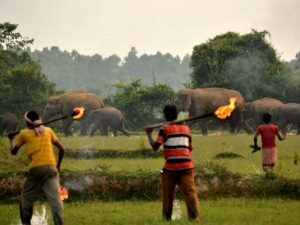 Incidents like these are becoming increasingly common in India, where rampant deforestation is leaving wild animals nowhere to take refuge. These heartbreaking images were taken by Biplab Hazra, who is trying to raise awareness about the plight of the endangered elephants. 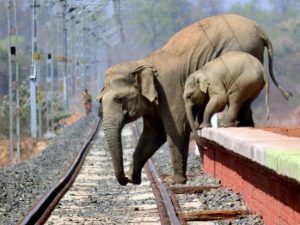 Because they spread seeds in their dung, elephants are key to the survival of rainforests and grasslands in India, The Independent notes.